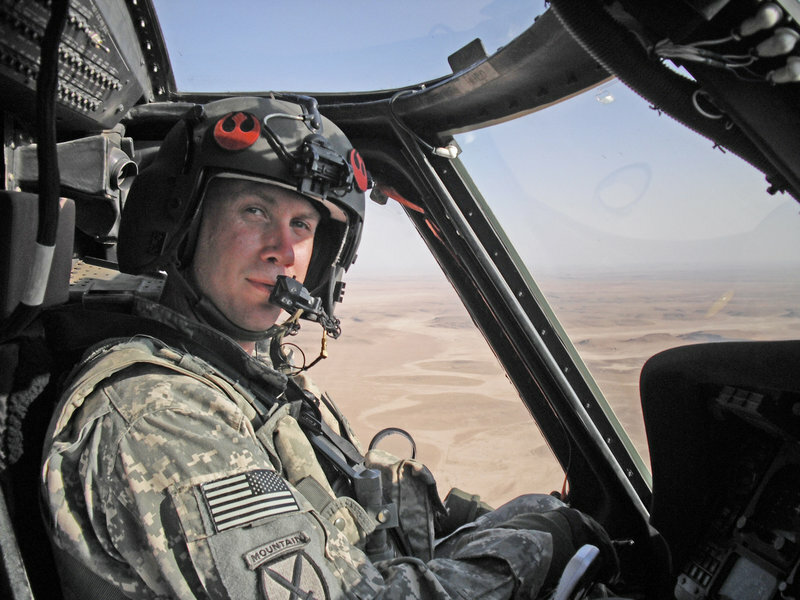 Jason LaCrosse will receive the Silver Star for rescuing wounded Germans in Afghanistan. A Maine native will be presented the nation’s third-highest military honor next week when he receives the Silver Star for gallantry for leading his helicopter Medevac company in rescuing close to a dozen wounded German soldiers in Afghanistan. Chief Warrant Officer Jason LaCrosse, who lived in Waldoboro and Kittery before graduating from Traip Academy in 1992, and his team of 13 soldiers also became the first people outside the German military to receive that country’s highest award for valor, the Gold Cross. LaCrosse described the mission on April 2, dubbed the Good Friday Rescue by the thankful German soldiers. LaCrosse was serving as an instructor pilot for the 5th Battalion, 158th Aviation Regiment. His company was stationed in Kunduz, in northern Afghanistan, as part of a German reconstruction team when German paratroopers were ambushed by the Taliban about five miles southwest of the city. Within 15 minutes of being alerted about the wounded, LaCrosse and three crew members – another pilot, a medic and a crew chief who was responsible for the mechanical operation of the Black Hawk helicopter – had taken off for the rescue. They swept a wide arc and came in from the north, and immediately came under heavy small-arms fire, too intense to allow a landing, he said. They banked off and headed to a bluff a short distance way, where a German unit had signaled that it was safe to land. There, they learned the patients weren’t ready to be transported. Unlike in the U.S. military, whose soldiers are readied for transport as quickly as possible and stabilized en route to the hospital, German doctors stabilize their patients before allowing them to be transported, LaCrosse said. As soon as they took off, they started taking fire from a village of mud huts to the right, banked left and were shot at some more. He landed with a tree line to the right and German armored personnel carriers to the left firing on the enemy, one of them leveling a house. They loaded in the first patient and headed back to the base hospital, returning quickly. A rocket-propelled grenade exploded on the ground below as they were preparing to land. Enemy fighters were shooting at them from the woods, and the assault helicopter was called in and drove them back. The crew flew the second patient back, but en route learned that one of the German armored cars had been hit by an improvised explosive device and there were four more patients. LaCrosse activated his second rescue crew and the two helicopters returned to the landing zone. At one point, fighters in a car started firing on them and launched a rocket-propelled grenade. It exploded beneath the assault helicopter, and the force of the blast tipped its tail up. The car disappeared into a village and the helicopter crew didn’t chase it, for fear of hitting civilians, LaCrosse said. The next batch of patients wasn’t ready, and LaCrosse and his crew had been aloft for two hours and had to rush back to base for a “hot refuel,” a sort of pit stop that takes just minutes. The crew chief checked for battle damage and found two bullet holes in part of the tail boom, but deemed it flyable. They took off. Meanwhile, the Germans had found a more secure landing zone, and the helicopters got the remaining patients back to the hospital. The mission was apparently over, and they shut down the helicopters. Then came the call that four more soldiers had been seriously wounded, he said. The maintenance test pilot checked the three helicopters for damage and found bullet holes in the rotors, among other damage. “He patched up the holes with duct tape and said ‘OK, they’re flyable,’” LaCrosse said, referring to the Army’s equivalent of duct tape, which can withstand 100 mph winds. This time, they got in and out without being shot at. They eventually transported a total of 11 German soldiers, although three died from their wounds. “The battle actually raged on another six hours,” LaCrosse said. In the days that followed, the German soldiers held a memorial service for their lost comrades. When LaCrosse and his men arrived to pay their respects, they were embraced by tearful German soldiers. Before then, the German base of more than 1,000 had never really warmed to the Americans stationed there. The Gold Cross – Ehrenkreuz der Bundeswehr in Gold – was presented by the German NATO commander at a ceremony in Kunduz later that month. The “Dust Off” designation for Medevac choppers dates back to Vietnam, and those who served on them formed the DUSTOFF Association. The group alerted LaCrosse on Monday that he was Dust Off Aviator of the Year and the mission was Rescue of the Year. On Veterans Day, ESPN broadcast a segment as the team got to meet the Germans who were wounded that day, flying in aboard a Black Hawk. LaCrosse showed a glimmer of star potential before he left Maine. A baseball star for Traip, he threw a 16-strikeout, one-hit shutout against York in his final game. He was a little disappointed. His father had promised to buy him a car if he threw a no-hitter, he said. 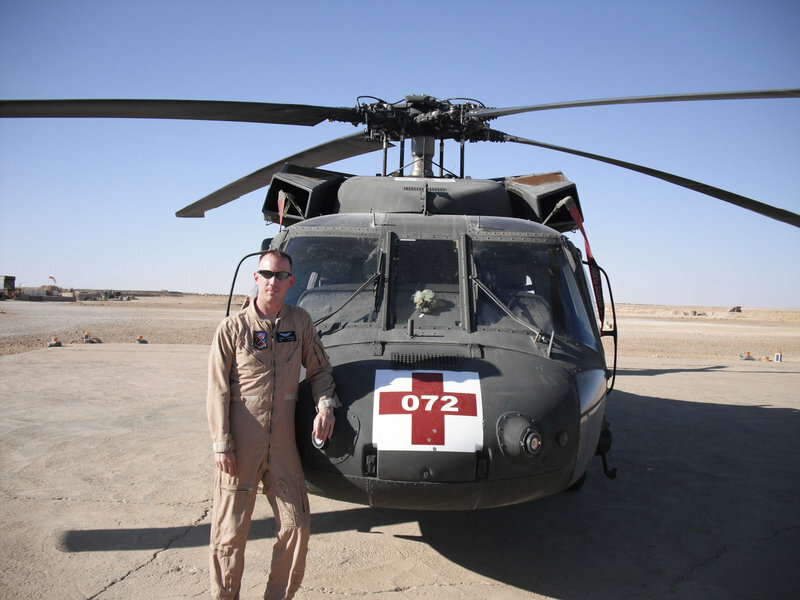 When LaCrosse joined the Army in 1992, he wanted to fly jets, but his experience going on Waldoboro rescue runs with his mother from the time he was 13 led him to enter the Army as a medic. He became a flight medic, and five years later attended school to become a helicopter pilot. LaCrosse has flown missions in Nigeria, Tunisia and Albania, and has served three tours in Afghanistan and one in Iraq. On Dec. 13 at the Katterbach airfield in Germany, LaCrosse will receive the Silver Star. The other 13 members of the Medevac team will receive the Distinguished Flying Cross. LaCrosse will be thinking of other soldiers, though.